Mosquito Control Brookhaven, GA | Bug-Off Exterminators, Inc.
Having a registered pest control technician that is experienced in dealing with a variety of homes and businesses is the key to fighting back against mosquitoes. The professionals have the knowledge and expertise to assess each individual area and then develop a mosquito control program to fit your needs. 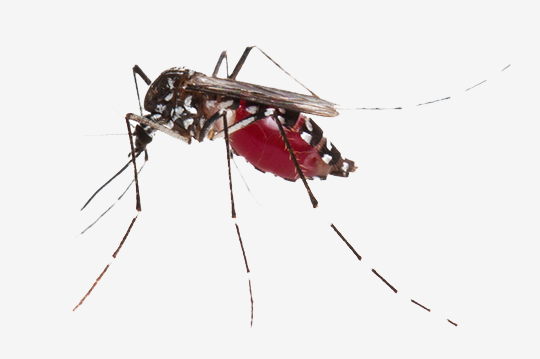 Mosquitoes have a complete metamorphosis, which includes eggs, larvae, pupa, and adult. Removing standing water helps to get rid of mosquitoes that are in the breeding phase. Using larvicides can help to exterminate the larvae before they become adults. Applying a residual pesticide that will remain effective for several weeks around the yard and shrubbery will assist in getting rid of the adult mosquitoes. Summer is a time for relaxing, family gatherings, and savory barbecues. Unfortunately, the warm weather is also the perfect time for some bothersome and uninvited guests to crash your party. Mosquitoes become active during summer months. Just like many of us enjoy spending time by the water during the summer, mosquitoes do as well and actually breed in small areas of standing water around your home or business. Once they have set up residence, mosquitoes will breed and can multiply, quickly becoming a nuisance around your property. Fortunately, there is a helpful solution to your problem. Seeking out a professional who has experience and knowledge in dealing with these pests is the first step to protecting your family, friends, and getting back to enjoying your property. During the service visit, a skilled technician will perform an inspection of your home or business to locate the potential problem areas and identify breeding grounds. After the inspection a mosquito control program will be established to deal with the existing problems and suggestions will be made for preventing future problems. The registered technician will begin to apply a residual pesticide that will last for several weeks to the specific problem areas of the property. Examples of these areas include low hanging tree branches, surrounding shrubbery, and shaded areas. 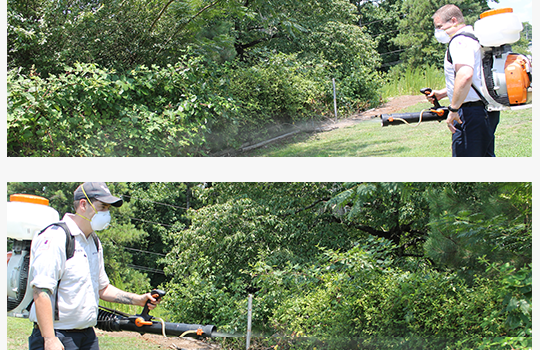 The pesticide is applied using a sprayer that is attached to a backpack leaf blower. The residual pesticide will not be applied to your grass and it will not harm your plants. Due to weather conditions, the insecticide will break down over time so it is best to have this service performed on a monthly basis. Installing mosquito traps around your property will help prevent future infestations of mosquitoes. The traps attract adult female mosquitoes so she lays her eggs. The active ingredient kills the larvae, and is transmitted to other water sources around the area. The water from the trap is an IGR and only targets the mosquito metamorphosis.